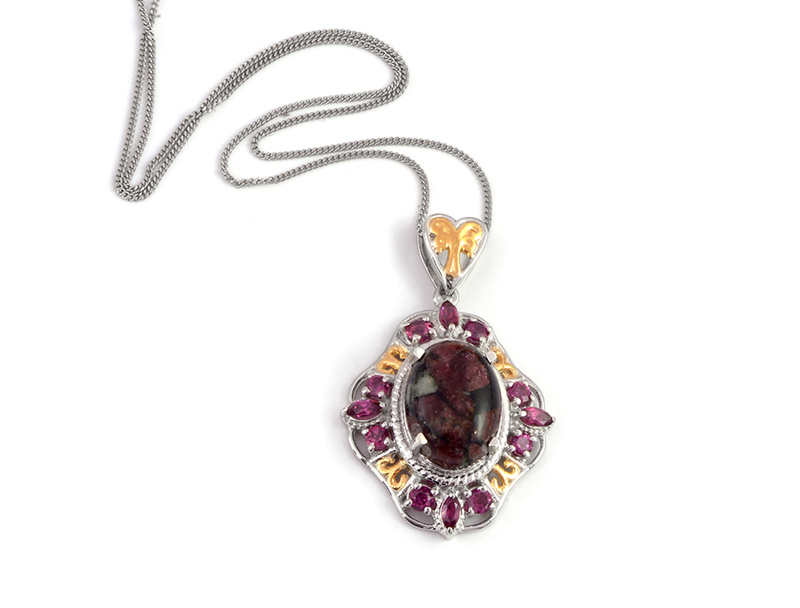 Russian eudialyte is a unique collector's stone known for its rich extraordinary color. This exquisite stone is sourced from the Kola Peninsula in Russia where the earth is rich in some of the most fascinating minerals and gemstones in the world. 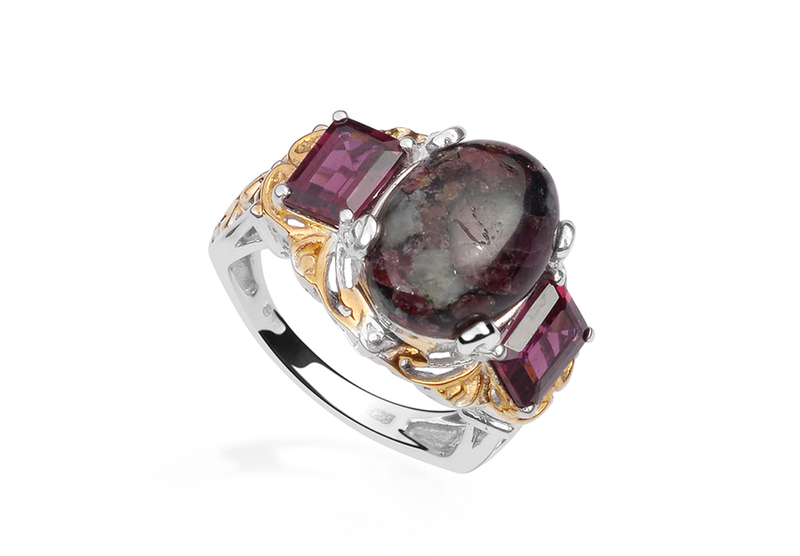 The swirling carmine-red color of Russian eudialyte has inspired some gem dealers to call the stone "Dragon's Blood." Eudialyte is a complicated silicate mineral that forms opaque granular clusters in alkaline igneous rocks. Eudialyte can form translucent crystals on occasion but they are very rarely gem quality. 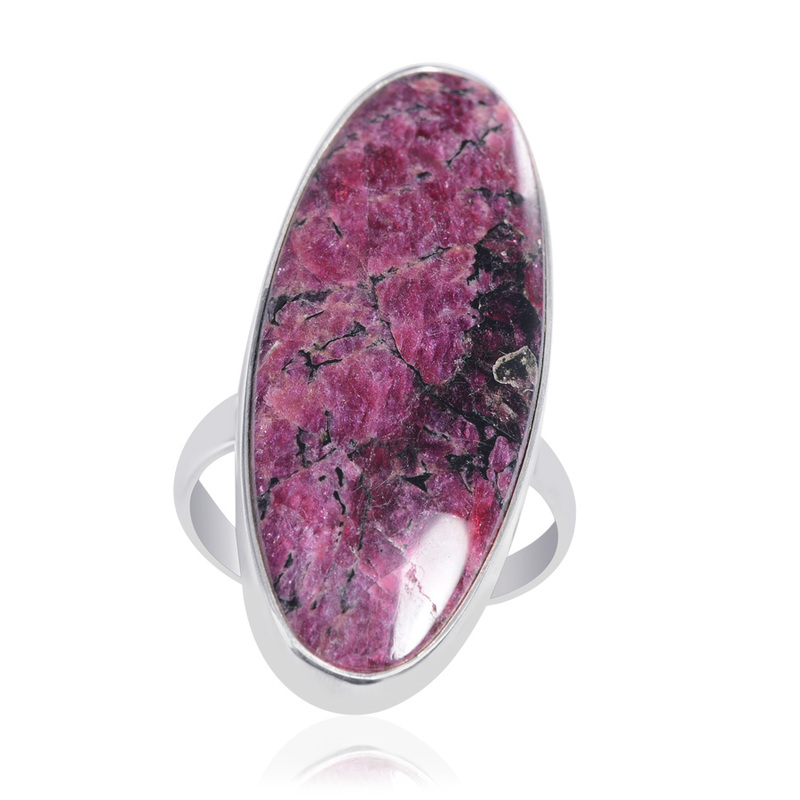 The name eudialyte derives from the Greek phrase "eu dialytos " meaning easily dissolved. 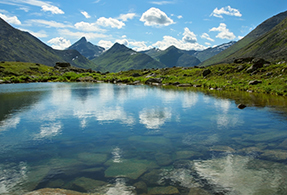 Strong acids can easily damage the alkaline mixture of minerals in the stone. Eudialyte contains many alkaline elements like sodium calcium and manganese and transitional elements like cerium yttrium and iron that are stable in an alkaline environment. If dipped into hydrochloric acid this stone will gelatinize. 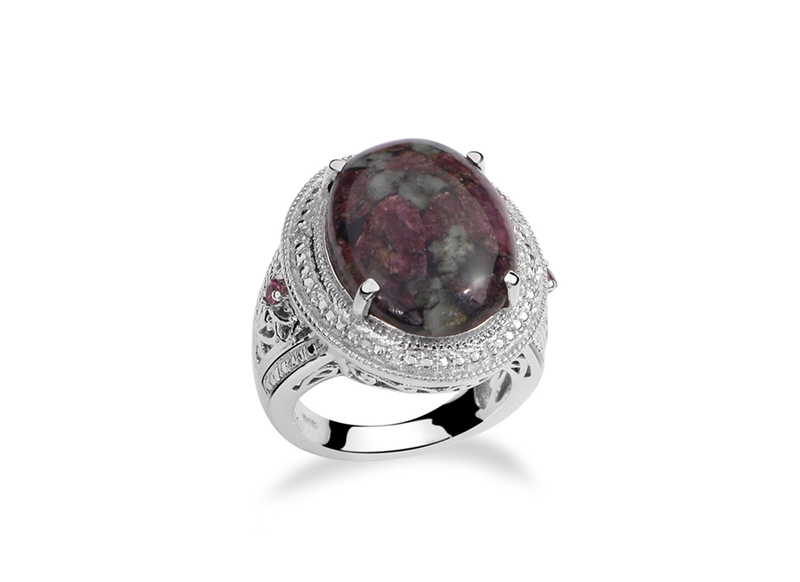 One of the most important building blocks of eudialyte is the coveted element zirconium. Eudialyte is considered a potential source of future zirconium reserves. Eudialyte was discovered in 1819 in the Julianehaab district of Greenland. Russian eudialyte has large translucent to opaque dark red crystals but may also include light brown black blue grey white yellow pink and red-violet. • Russian eudialyte is thought to enhance and rejuvenate personal strength and help you identify your path in life. It gives you the strength to rely on your true beliefs. It brings confidence balance and peace to your life. • Russian eudialyte is a stone of the heart bringing harmony to a relationship and dispelling jealousy. • Russian eudialyte enhances our feeling of well-being and inspires us to appreciate and recognize our own gifts and abilities. • It helps face doubt self-destruction turmoil and anxiety. Its strength supports us as we follow the path of our goals. It also promotes learning and trust. • Crystal healers use eudialyte to heal heart and blood conditions especially when arteries and blood vessels need strength and repair. It is also used to combat diseases affecting bone marrow and blood quality. Premium specimens of Russian eudialyte are mined on the Kola Peninsula in Russia. This area has a large array of rare alkali metals and minerals dating back to 360 million years ago. These elements typically do not align well with ordinary minerals and must be delayed in order to crystalize. With restrictive and elaborate formation requirements Russian eudialyte is truly a delicate and unique gem. Ranks 5 to 5.5 on the Mohs hardness scale. Colors include deep red-violet pink brown-red and brown with a vitreous luster. Member of the eudialyte family. Also known as dragon's blood almandine spar and eucolite.